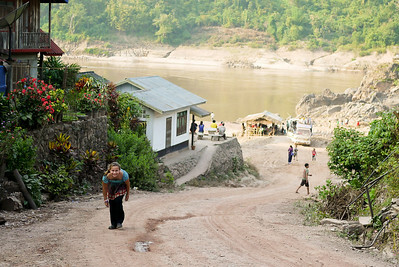 A small town in the Sainyabuli Province in Laos. Our trekking guide in Hongsa, Loas. At 73 years old, our guide was more nimble and animated than many half his age! 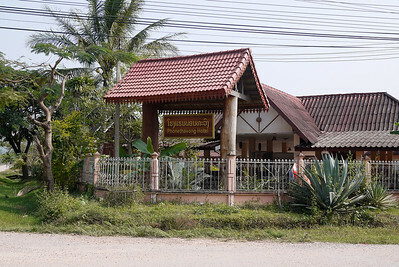 Hongsa, Laos. 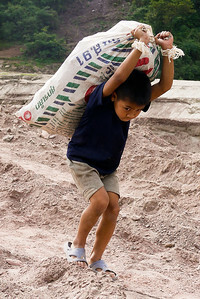 A young boy in Tha Suang, Laos loading crates of eggs onto the slow boat headed toward Luang Prabang, Laos. 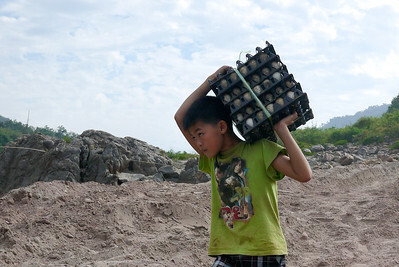 A young boy hauls some heavy goods to the shoreline to the waiting slow boat. 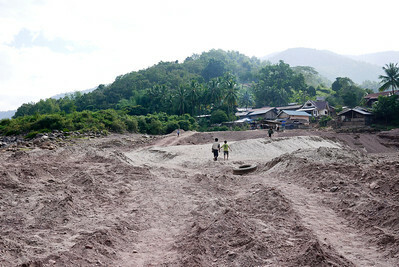 Tha Suang, a small and dusty town on the Mekong River in Laos. 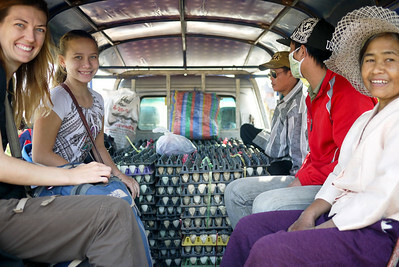 Ana and I shared a tuk-tuk ride down from Hongsa, Laos with dozens upon dozens of eggs! 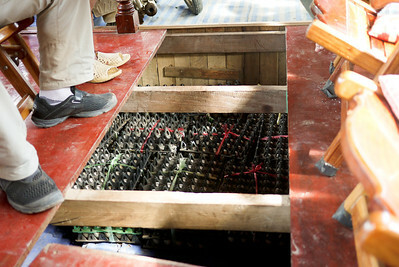 The eggs made it onto the slow boat and are ready for transportation to Luang Prabang, Laos. 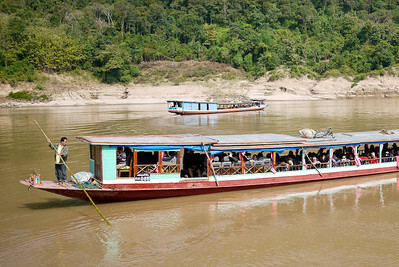 The slow boat pushes off from shore as Ana and I make our way up the huge sand hill to Tha Suang, Laos. 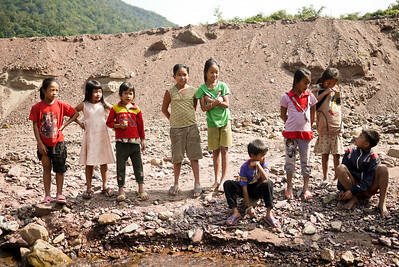 The village children look on with interest as we cross the small river. 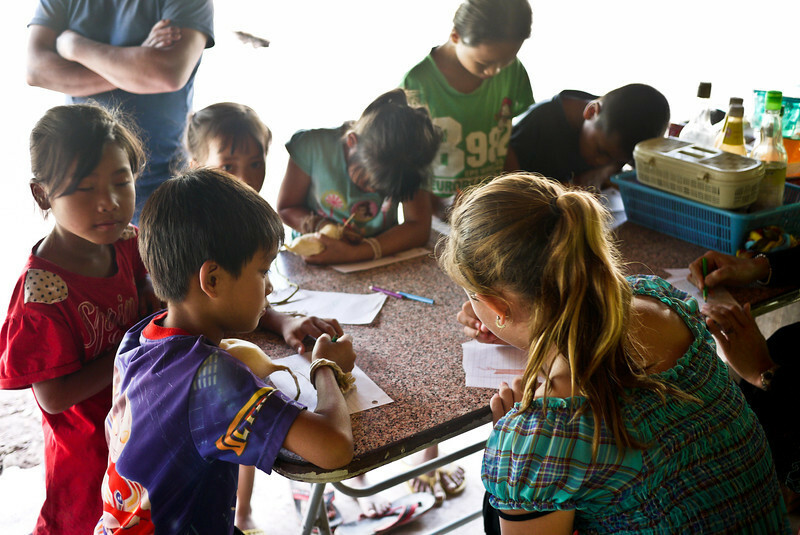 Ana and the children in Tha Suang bond over a box of colored pencils and some paper, Laos. Getting a work out as we spend the day in Tha Suang, Laos waiting for the afternoon's shared taxi up to Hongsa. The welcome party in Tha Suang was so miffed that Ana and I got off the slow boat in their small town. 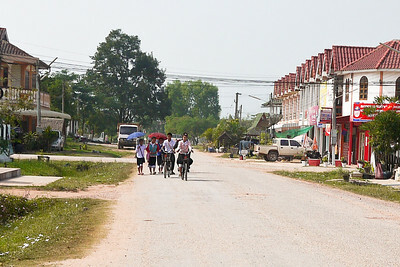 School lets out in Hongsa, Laos and the children travel home en masse. 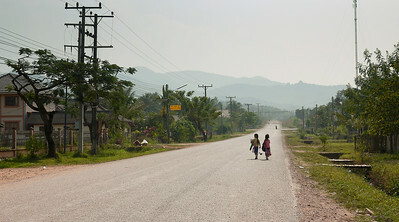 Two young little girls walk side-by-side home from school in rural Laos. 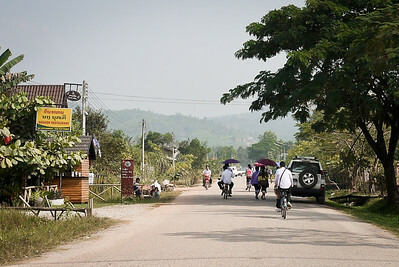 A large group of children with umbrellas and bikes head home from school in the late afternoon in Laos. 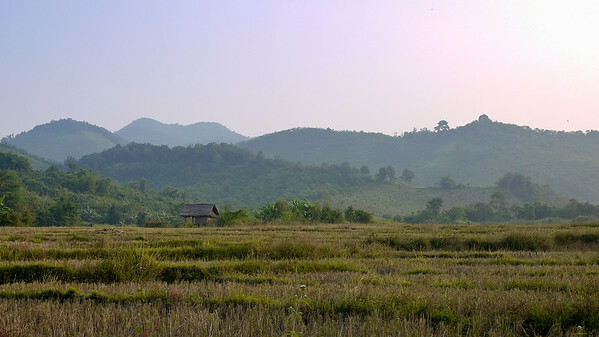 Green rice paddies in rural Loas, just outside of Hongsa. 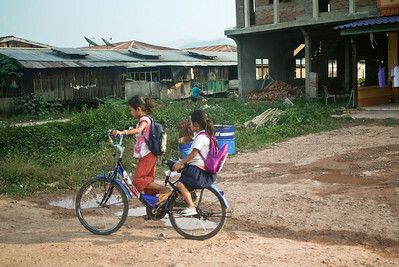 Two little girls make their way home from school in Hongsa, Laos. 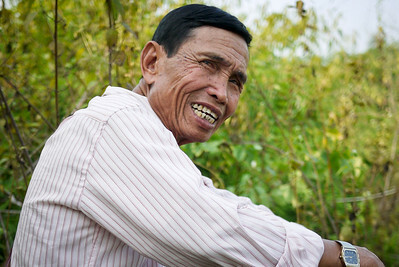 Ana takes in the cows, rice paddies, and hills in Hongsa, Laos. 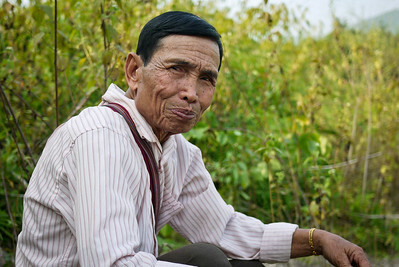 Taking in the late-afternoon sunlight in Hongsa, Laos. 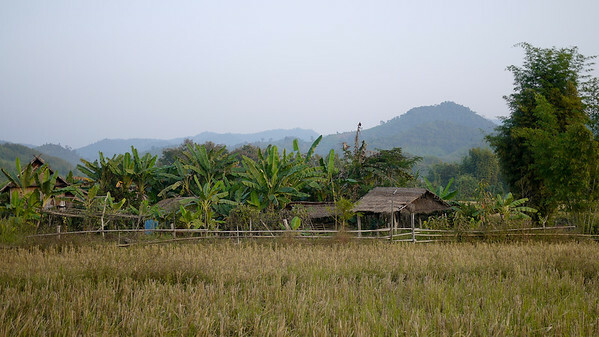 Rice paddies and wooden houses outside of Hongsa, Laos.